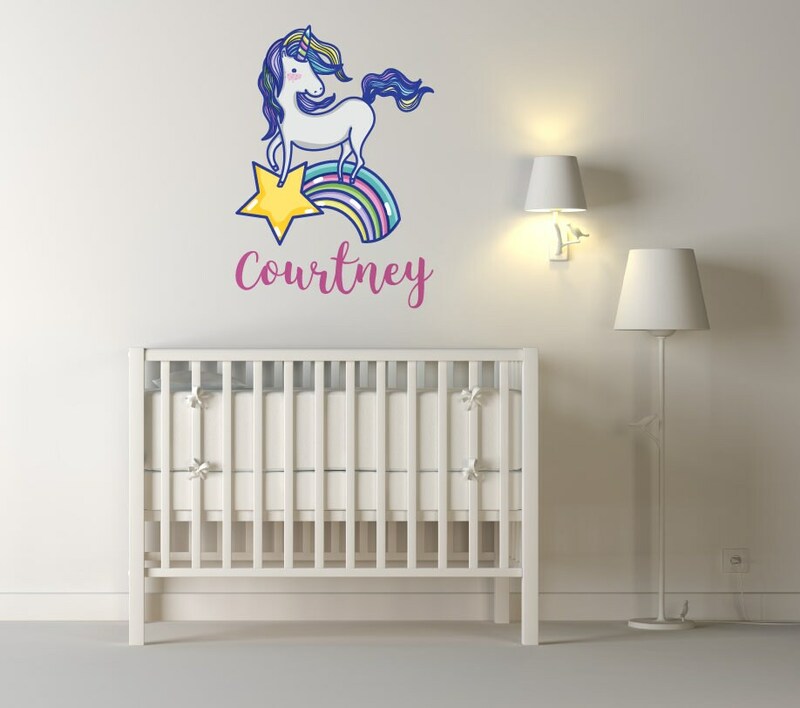 A custom unicorn on a rainbow wall sticker. 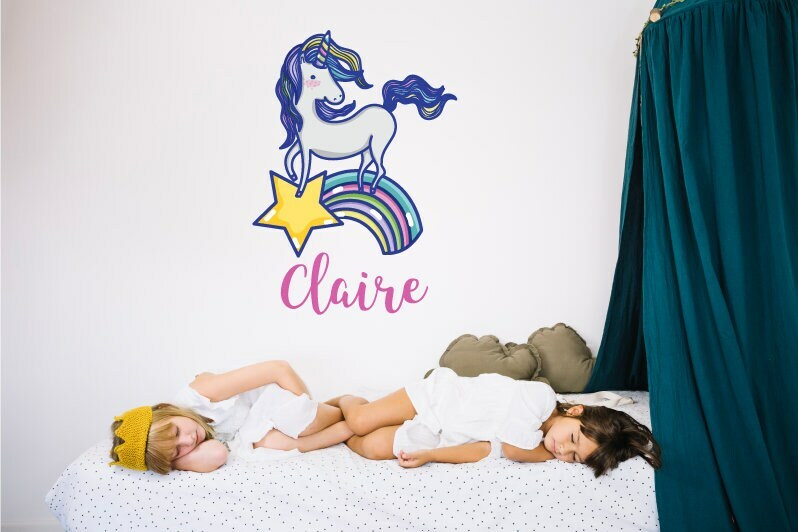 Choose the name of your choice to be featured on this beautiful wall decal. Once purchased, please leave a note at the checkout of the name you would like. Max characters is 10. Please note wall art stickers colours may vary slightly depending on your monitor/device. The more the wall sticker is removed and re-positioned, the less effective the adhesive becomes. You will receive your order in a hardened envelope/postal tube, to ensure protection of your wall stickers.